SINCE THE ELECTION of Jorge Bergoglio (“Pope Francis”) by the March 2013 conclave, more and more Catholics have started to wonder whether the sedevacantist explanation for the state of affairs in the post-Vatican II church might not indeed be the correct one. After all, how can you reconcile the countless outrageous public statements that Bergoglio has made (no Catholic God, who am I to judge, doctrinal security is not possible, proselytism is nonsense, etc.) with the claim that he is indeed the true Successor of Peter? On the face of it, you can’t. The only explanation that makes any sense alongside the Catholic (pre-V2) theology of the Church and the papacy is sedevacantism. Bergoglio is not a real pope, and the papal office is therefore objectively vacant (sede vacante = the Holy See is vacant). The man who deposited a beach ball on the altar of a Roman basilica, donned a clown nose, and told Protestants he wasn’t interested in converting them is not, thank God a real pope, despite the fact that he wanders around in a white cassock. Because of the upsurge in interest in sedevacantism, therefore, I decided to put together a quick primer to give newcomers an overview. We have published this little summary of the argument many times over the past decades, and it will be helpful to do so again here. The argument is essentially the same for all the post-Vatican II “popes,” even though its force has become much more evident with the arrival of Bergoglio. Officially-sanctioned Vatican II and post-Vatican II teachings and laws embody errors and/or promote evil. Because the Church is indefectible, her teaching cannot change, and because she is infallible, her laws cannot give evil. It is therefore impossible that the errors and evils officially sanctioned in Vatican II and post-Vatican II teachings and laws could have proceeded from the authority of the Church. Those who promulgate such errors and evils must somehow lack real authority in the Church. Canonists and theologians teach that defection from the faith, once it becomes manifest, brings with it automatic loss of ecclesiastical office (authority). They apply this principle even to a pope who, in his personal capacity, somehow becomes a heretic. Canonists and theologians also teach that a public heretic, by divine law, is incapable of being validly elected pope or obtaining papal authority. 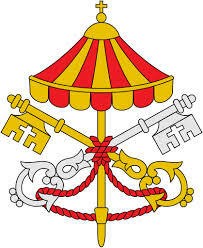 Even popes have acknowledged the possibility that a heretic could one day end up on the throne of Peter. In 1559 Pope Paul IV decreed that the election of a heretic to the papacy would be invalid, and that the man elected would lack all authority. 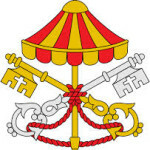 Since the Church cannot defect, the best explanation for the post-Vatican II errors and evils we repeatedly encounter is that they proceed from individuals who, despite their occupation of the Vatican and of various diocesan cathedrals, publicly defected from the faith, and therefore do not objectively possess canonical authority. For a rather easy-to-digest explanation of this argument, I suggest my short video, Sedevacantism: How to Tell Aunt Helen. Traditionalists, Infallibility and the Pope. Rev. Anthony Cekada. A clear and concise survey of the sedevacantist argument, based on the teachings of pre-Vatican II canonists, dogmatic theologians and popes. 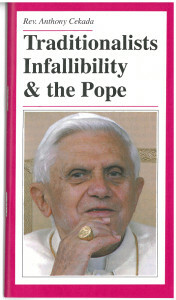 First published in 1995 as a booklet, and revised in 2006 to address various objections, Traditionalists, Infallibility and the Pope has enjoyed a world-wide circulation. Despite its continuing popularity, it is the one major treatise on sedevacantism that the Society of St. Pius X has never even attempted to answer. We are happy to make it available here on-line for the first time in its 2006 edition. For still more reading on the topic, I recommend that you work your way through the Sedevacantism section on the Articles Page of traditionalmass.org. No “Canonical Warnings” and You Can’t Know What the Pope is REALLY Thinking. Various Objections: Absurdity, Dead Church, First See Judged by No One, No Heresies, You Need a Council, Due Process, John XXII, Honorius. Vatican II Not Obligatory Anyway. The videos have been particularly effective in reaching large numbers of people who might not otherwise read an article (and certainly not a 700-page book!) on the topic. As of this writing (April 2019), the cumulative number of viewers for Fr. Cekada’s videos on the Salza/Siscoe/SSPX book has reached 114,000. You can sign up for email alerts for videos and articles by using this contact form. The foregoing sections provide material that lays out the general theological arguments for sedevacantism. It is necessary for the well-informed traditional Catholic, however, to keep current on events as they actually unfold in the Vatican from day to day. This will provide lots of material for discussion with Catholics who are vaguely unsettled by Bergoglio’s antics, but fuzzy on a lot of the details. For this, there is no better source than Novus Ordo Watch. 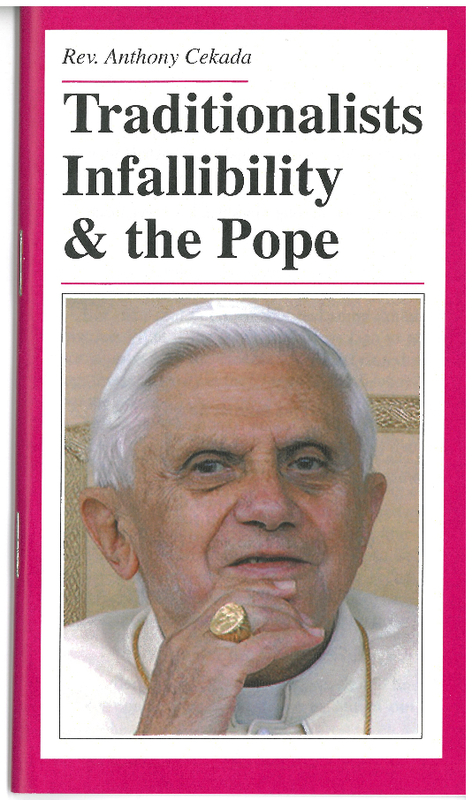 It provides pithy summaries what Bergoglio and company are up to, as well as longer analytical articles. It also provides a handy page of quotes from Catholic sources that are most pertinent to the current crisis. THIS MATERIAL, we hope, will provide a good primer for Catholics curious about sedevacantism, as well as refresher course on the main points for those who have already adopted the position. Remember: All traditional Catholics are in fact sedevacantists — it’s just that not all of them realize it yet! This was written by Rev. Anthony Cekada. Posted on Tuesday, November 19, 2013, at 9:00 am. Filed under Francis / Bergoglio, Sedevacantism, Sedevacantism: Objections. Bookmark the permalink. Follow comments here with the RSS feed. Comments are closed, but you can leave a trackback.